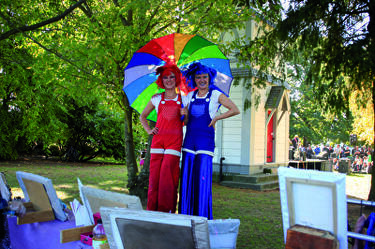 A photograph of two stilt walkers performing at the Gap Filler Fun Fair. 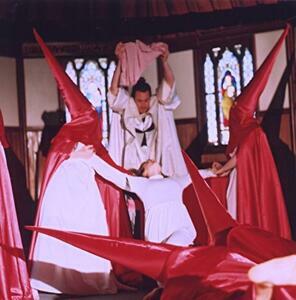 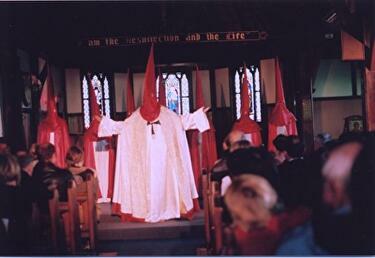 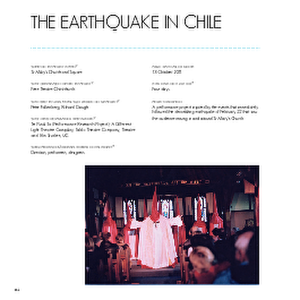 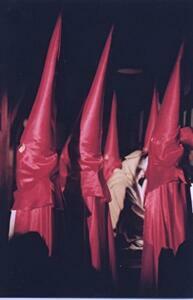 A PDF copy of pages 160-161 of the book Christchurch: The Transitional City Pt IV. 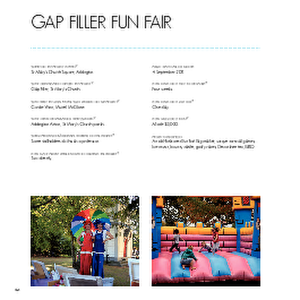 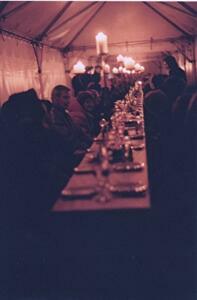 The pages document the transitional project 'Gap Filler Fun Fair'. 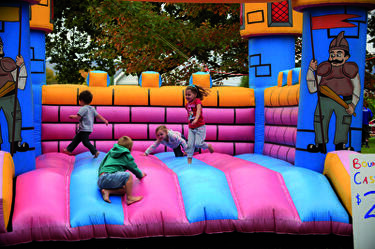 A photograph of children playing on a bouncy castle at the Gap Filler Fun Fair. 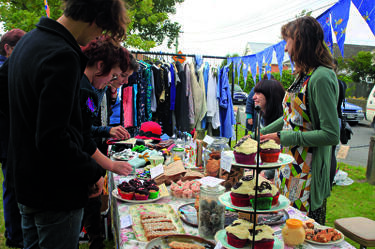 A photograph of a cake stall at the Gap Filler Fun Fair. 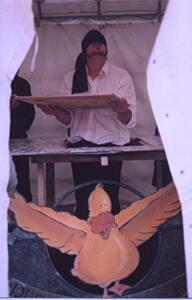 In the background is a stall selling clothing. 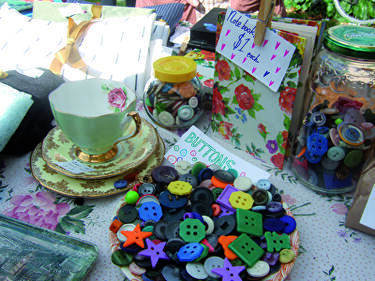 A photograph of buttons and other objects for sale on a market stall at the Gap Filler Fun Fair. 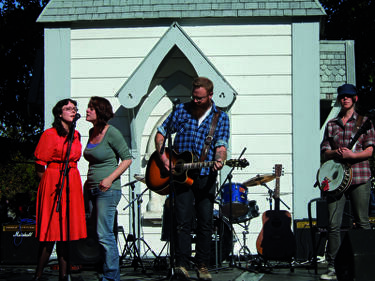 A photograph of musicians performing at the Gap Filler Fun Fair. 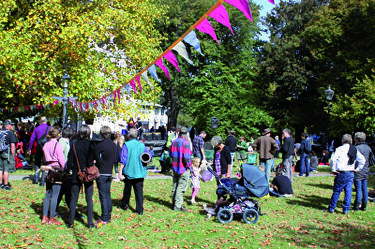 A photograph of people listening to live music at the Gap Filler Fun Fair. 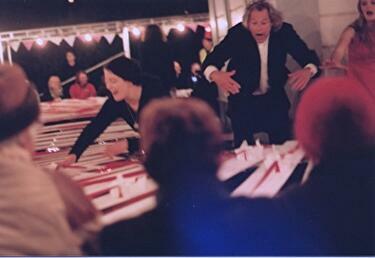 A photograph of a banner advertising the Gap Filler Fun Fair. 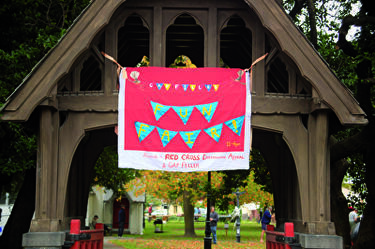 The banner is hung on the entrance to Church Square.